What do we want? Free-flowing traffic! 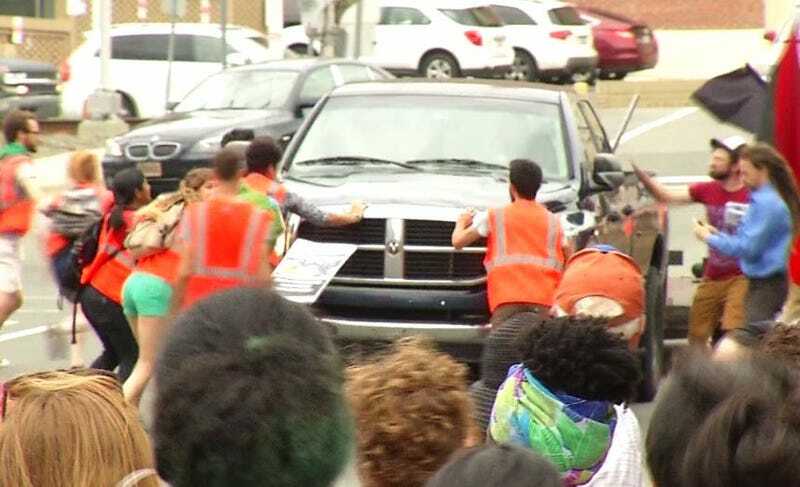 No one was hurt and police say they won’t cite the driver in the incident that took place around 6 p.m. Monday [May 1] outside the Durham County Jail on S. Mangum Street near W. Pettigrew Street. Dozens of protesters were outside the jail and were blocking the road, but said they did not have a permit to close the road.